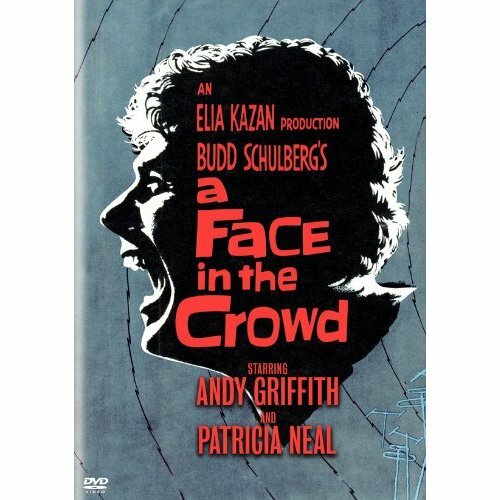 There are many great things about Elia Kazan’s A Face in the Crowd. Andy Griffith’s performance as Lonesome Rhodes, the Arkansas drifter who becomes a national sensation, is remarkable. Especially when your only real exposure to Griffith is watching “The Andy Griffith Show” with your father. It was hard for me to believe I was watching the same actor. Patricia Neal is as good as ever as Marcia Jeffries, the radio producer who discovers Rhodes. Jeffries plucks the charismatic Rhodes from obscurity and he jumps on the fast track to stardom. The media builds Rhodes up and he becomes the voice of the people. Rhodes and his appeal seems untouchable. But after a series of betrayals, Jeffries becomes the only person who sees Rhodes true persona. She sees the danger in the man she helped create. A Face in the Crowd ends with Lonesome, after a series of outbursts and psychotic on-air meltdowns, becoming a pariah. But we’re reminded by Mel Miller (Walter Mathau, in a great supporting role) that Lonesome Rhodes will back in the limelight but people will end up asking “Whatever happened to him? Hey, did you hear about this new guy?”. As long as there is some reward for keeping Lonesome Rhodes on the air, he’ll keep on existing. Until he doesn’t. Miller’s monologue (“Suppose I tell you exactly what’s gonna happen to you”) is brilliantly shot as a close-up with almost no reaction shots of Rhodes. It is as if Miller is warning us about media culture today. Lonesome Rhodes may be fictional but he is no different than any of the current celebrities we are inundated by in our media obsessed culture. He may just be the more realistic person. 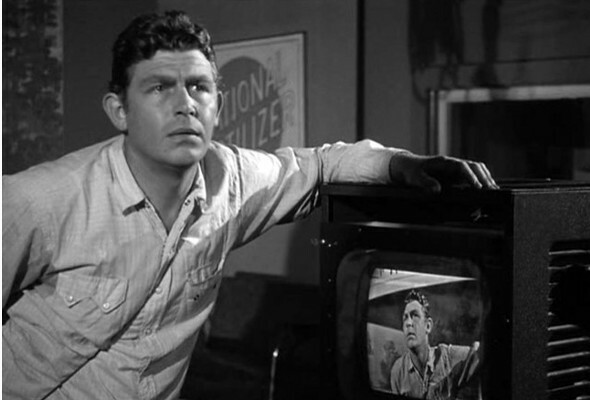 Bonus clip – Watch this snippet of an interview with Andy Griffith and screenwriter Budd Schulberg about the final scene in A Face in the Crowd.